Environmentalists around the world may be heaving a big sigh of relief today, as leading global coffee retailer Starbucks has announced the phasing out of plastic straws from all their stores by 2020. The move is likely to make a dent in the global plastic waste generation, as Starbucks has over 28,000 stores all over the world and uses an estimated one billion single-use plastic straws every year, the brand has said. But Starbucks loyalists need not fret about not getting their daily pick-up coffees, because the brand is planning on introducing recyclable 'strawless cups', which are basically like sipper cups. Other environment-friendly alternatives to plastic straws will include compostable straws and reusable cold cups, said the brand. Waste generation is a major global concern as several hundred million tons of plastic is generated every year and a major chunk of it is not recycled. Starbucks' announcement has met with appreciation from organisations worldwide, including the World Wildlife Fund (WWF) and helping the brand in its sustainability efforts is Conservation International, which also released a statement about the same. Erin Simon, director of sustainability research & development and material science at World Wildlife Fund U.S. has termed Starbucks' move as one that is "forward-thinking in tackling the material waste challenge." Nicholas Mallos, director of Ocean Conservancy's Trash Free Seas program was quoted as saying in a Starbucks blogpost: "Starbucks' decision to phase out single-use plastic straws is a shining example of the important role that companies can play in stemming the tide of ocean plastic. With eight million metric tons of plastic entering the ocean every year, we cannot afford to let industry sit on the sidelines." However, not everyone is convinced that Starbucks' decision will make a positive change. People are arguing that the 'strawless cups' that Starbucks will eventually introduce also have lids made of plastic. 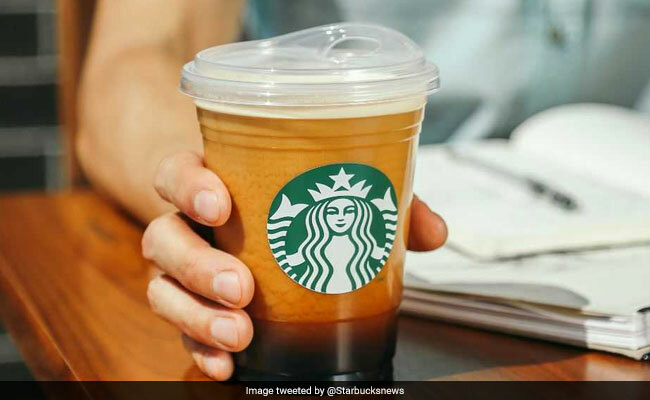 But Starbucks has revealed that these sipper cups will not pose an environmental threat as they are made from "polypropylene content" which "can be widely recycled." Chris Milne, director of packaging sourcing for Starbucks said in the blogpost: "By nature, the straw isn't recyclable and the lid is, so we feel this decision is more sustainable and more socially responsible." It's clear that Starbucks' initiative has been well-received for the most part, both by consumers and by environmental enthusiasts. Here's hoping that other major coffee retailers and cafes also take a leaf out of Starbucks' book and make the transition from plastic packaging to more recyclable material.